The U.S. Government has restricted activities with Iran since the U.S. Embassy was seized in Tehran in 1979. 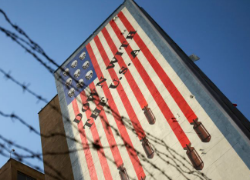 In 2012, the United States continued to ratchet up sanctions against Iran as part of a continued effort to curb the country’s nuclear activities and to further actions taken against Iran since 2006. By placing economic pressure on Iran and restricting the country’s access to the rest of the global economy, U.S. officials hope to make it difficult for Iran to survive without succumbing to diplomatic pressures. The already strained Iranian economy has experienced heightened inflation, and oil exports dropped after the EU embargo on Iranian oil went into effect in July 2012. Increased sanctions have lead to broad-based enforcement actions for violations, and compliance with the ever-changing web of regulations is, by no means, an easy feat. Prosecutors have targeted institutions worldwide that use the U.S. financial system to process Iranian transactions. Since 2009, the Justice Department (“DOJ”), the Treasury Department, and the district attorney’s office have brought cases against five European Banks. On June 12, 2012, for example, ING Bank, N.V. (“ING”), a Netherlands-based financial institution, reached a settlement of $619 million with the Office of Foreign Assets Control (“OFAC”), as part of a global settlement among ING, OFAC, the DOJ, and the New York County District Attorney for alleged violations of the Iranian Transactions Regulations (“ITR”) and other sanctions. ING allegedly moved billions of dollars through the U.S. financial system on behalf of sanctioned entities. The ING case is extreme. It involved sophisticated parties that likely should have had more sophisticated compliance programs in place. Investigations into sanction violations, however, do not stop at large financial institutions. In general, unless licensed by OFAC, any goods, technology or service exports, simply, cannot have any connection to Iran or the Government of Iran. These restrictions affect companies of all sizes and across numerous different sectors. In April 2012, OFAC reached a settlement with a Colorado-based company for ITR violations. Sandhill Scientific, Inc. (“Sandhill”), allegedly exported medical devices to Dubai, knowing that the goods would be transshipped to an Iranian company. Sandhill was forced to remit $126,000 to settle these allegations. OFAC also imposes penalties in circumstances where it appears the company, simply, did not know any better. In May 2012, OFAC reached a settlement with a U.S. investment fund for its failure to oversee the actions of its foreign subsidiary. Genesis Asset Managers, LLP (“GAM US”) was forced to remit $112,500 because its foreign subsidiary purchased Iranian securities, conferring a prohibited economic benefit on Iran. In OFAC’s Enforcement Information release, it stated that GAM US may not have fully understood its OFAC obligations under US law. Individuals and companies can also be criminally prosecuted for their actions relating to violations of Iran sanctions. Criminal penalties for ITR violations can result in fines of up to $1,000,000 and twenty years imprisonment. In February 2012, for example, Sunrise Technologies and Trading Corporation was sentenced to 24 months corporate probation for exporting U.S. origin computers to Iran through the United Arab Emirates. The company’s owner, Jeng “Jay” Shih, was sentenced to 18 months in prison in the District of Columbia. Prosecutions like these are evidence of the severe consequences companies and individuals can face for violations. Investigation targets range from some of the world’s largest corporations to small-town operations. Given this breadth, it is important for companies of all sizes to ensure that internal compliance procedures comport with applicable regulations. The U.S. Government imposes sanctions that extend beyond mandatory U.N. sanctions and those imposed by the European Union. Even as the United States attempts to further isolate Iran, it is still unclear whether these efforts and the increasing sanctions will produce the desired result, to curb Iran’s nuclear activities. Kaitlin Fox is an alumna of the Denver Journal of International Law and Policy. Currently, she is at Schuchat, Herzog & Brenman, LLC, and is interested in international trade and sales law. In law school, she was on DU’s Willem C.Vis team, where she won the Shanghai Moot and was an oralist in Hong Kong.